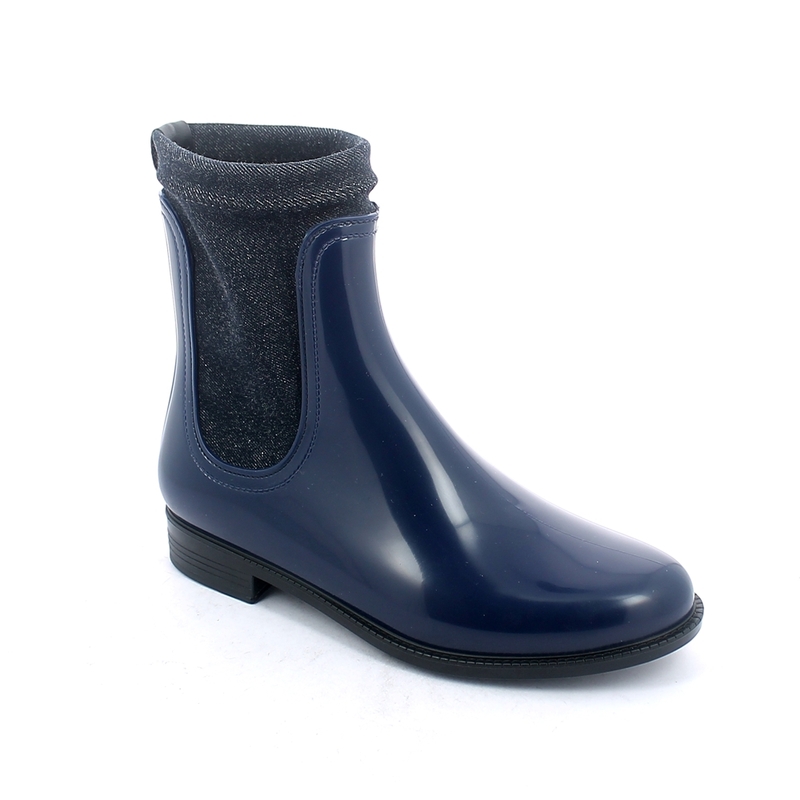 Chelsea boot in bright pvc equipped with elasticized stretch jeans lining. Made in Italy. 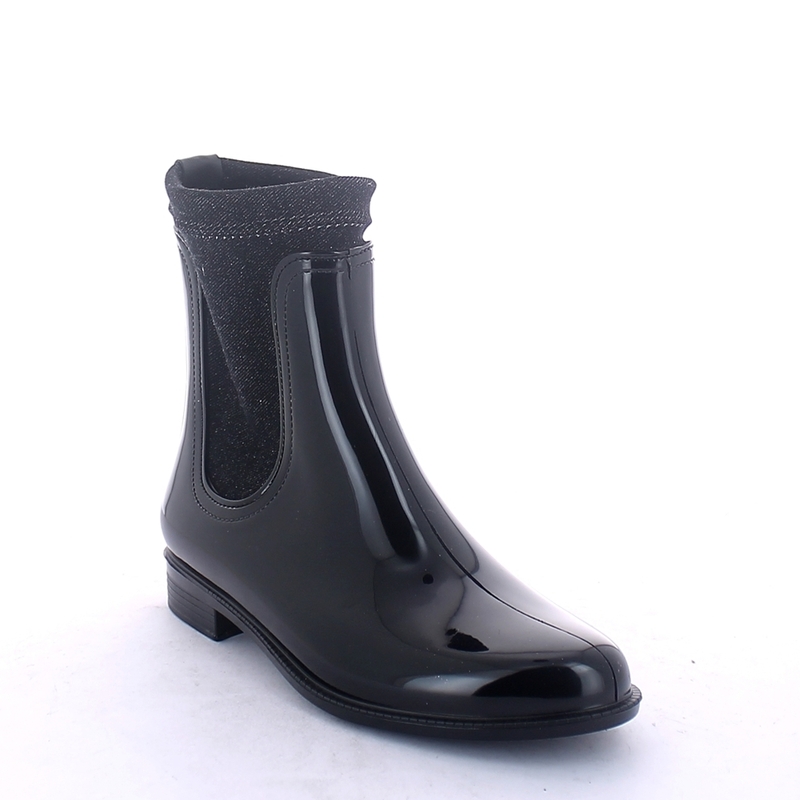 Size run: 35-41.
previous: Chelsea boot in bright transparent pvc with elastic band on ankle sides and cut &sewn inner sock with pattern "Green Tropical Flowers"